Fordway has developed services and cloud consultancy to assist at each stage of your cloud journey, from design and build to migration and management. These can be provided from your own data centres, third party facilities or public cloud, and can be integrated into a seamless service with common service management, common processes, unified monitoring and ideally common, standard SLAs for each defined service. Cloud Intermediation Service (CIMS) Consultancy – designed to assist organisations considering cloud adoption and aid service transformation to the cloud. 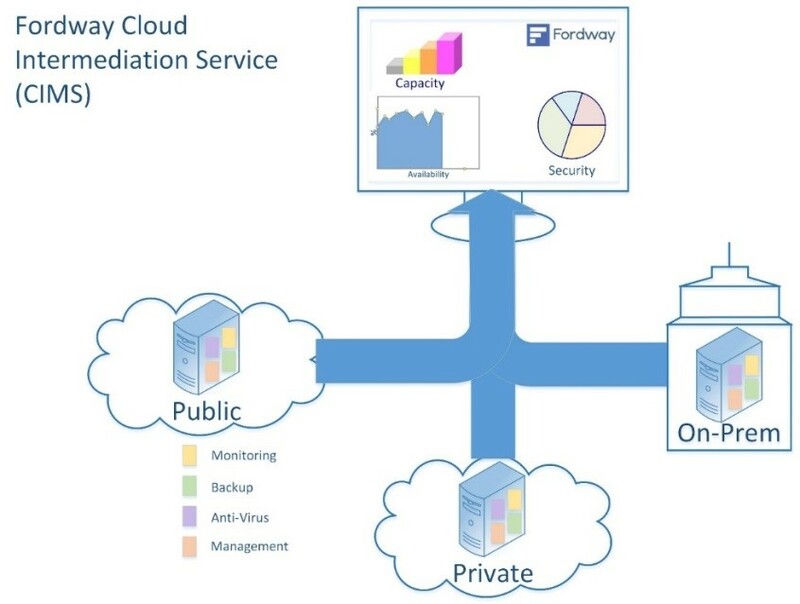 Fordway’s Cloud Intermediation Service (CIMS) is a transformation framework designed to help organisations take advantage of cloud by choosing the optimum mix of services for their business and implementing them smoothly and efficiently. Moving to cloud is not simply a process of taking an existing service and handing it over to a cloud provider. Organisations first need to realign their strategy, governance, people and processes for a cloud model before choosing the mix of providers who offer the best combination of services to meet their requirements. This mix will be fluid as the organisation continually balances its changing requirements for value, performance and security. Organisations also need to find an effective way of managing multiple suppliers and ensuring each performs to the agreed SLA, while enabling issues to be identified and resolved promptly. Our cloud consultancy and associated services are designed to do just this. Providing continual service improvement in the provision of their services. 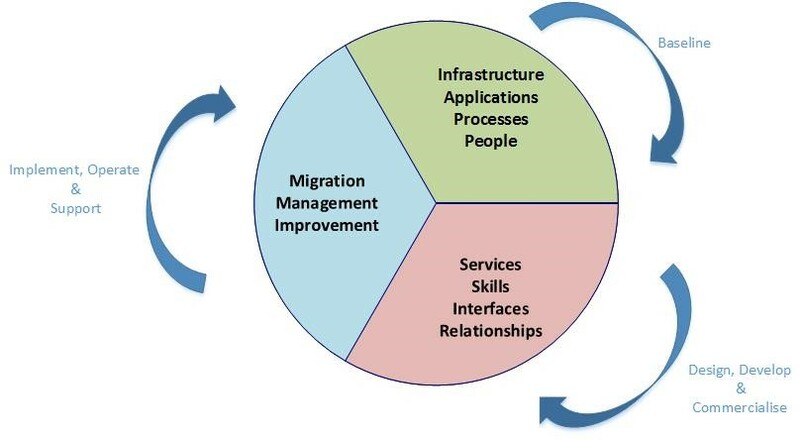 Fordway has developed a number of services to assist at each stage, from design and build to migration and management. These can be provided from one of the customer’s own data centres, third party facilities or public cloud, and can be integrated into a seamless service with common service management, common processes, unified monitoring and ideally common, standard SLAs for each defined service. CIMS is based on best practice, including ITIL and SFIA standards, reference architectures from leading vendors and ISO standards such as ISO27001 (security), ISO20000 (Service Management) and ISO23001 (BCP), combined with Fordway’s experience in analysing and designing new solutions and environments. For public sector organisations it is available through the G-Cloud 9.